Eagle Creek Wholesale started as a 1 acre, state- of- the-art production facility and has grown to 6+ acres today. 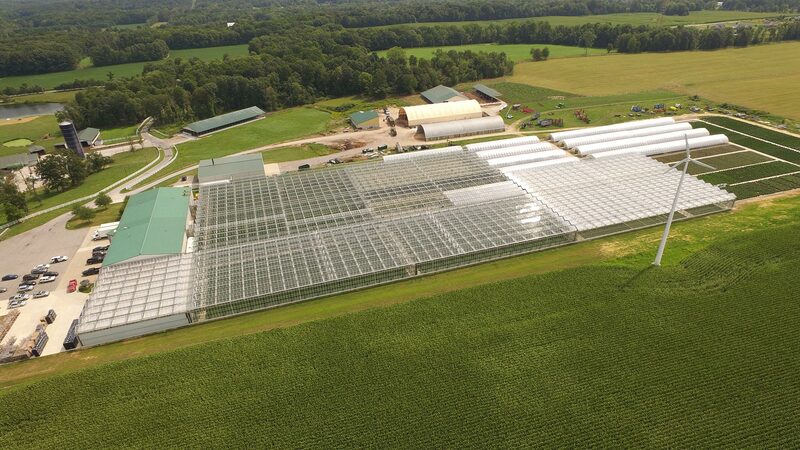 4 acres are made up of glass MX greenhouses that are state-of-the-art and are utilized year round. A little over 1 acre is made up of ground-to-ground plastic-covered houses and 1+ acre consists of an outdoor growing area that is utilized from April through October. Our facilities employ state of the art environmental controls from Priva Systems as well as highly automated equipment such as ebb and flood floors, Echo-Veyor hanging basket watering systems, boom irrigation, propagation area, heat retention curtains and radiant heat technology. Our primary customer base is in Cleveland, OH and Pittsburgh, PA and throughout the Midwest. 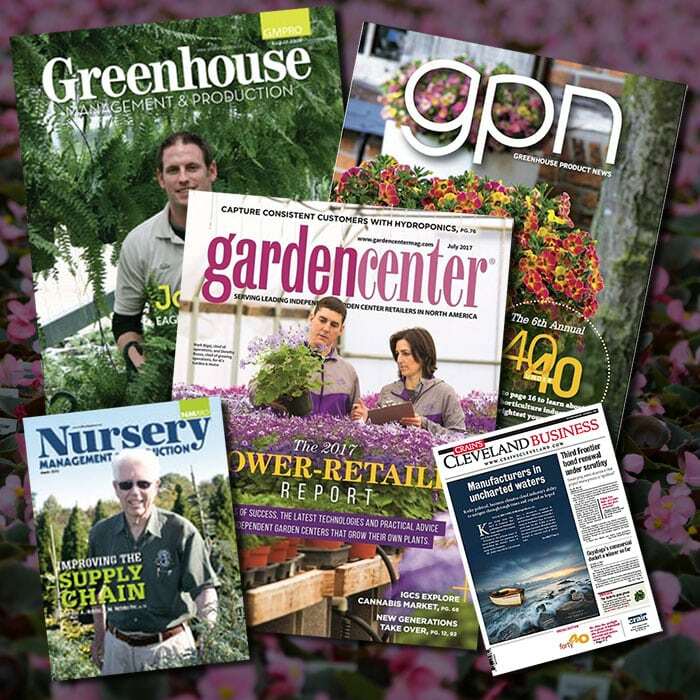 We service independent garden centers as well as local farm markets and grocery chains. Our main crop focus is on spring bedding annuals, fall bedding annuals and mums, Poinsettias and Easter crops. Our workforce is 100% derived from employees who live and grew up within a 20 mile radius. We employ 20 full time employees and as many as 20 more seasonal employees and drivers. In 2006, we purchased a 300 HP underfed bio-mass boiler from Hurst Boiler and Welding Co. We recognized the need to reduce the use of fossil fuels in our operation and can proudly say that 90% of our energy consumption relative to heating is now derived from wood bi-products such as sawdust or woods chips from used pallets. Jill’s love for plants and growing began at a young age. She grew up in Burton, Ohio on her family farm where she dabbled at growing hardy garden mums in junior high. 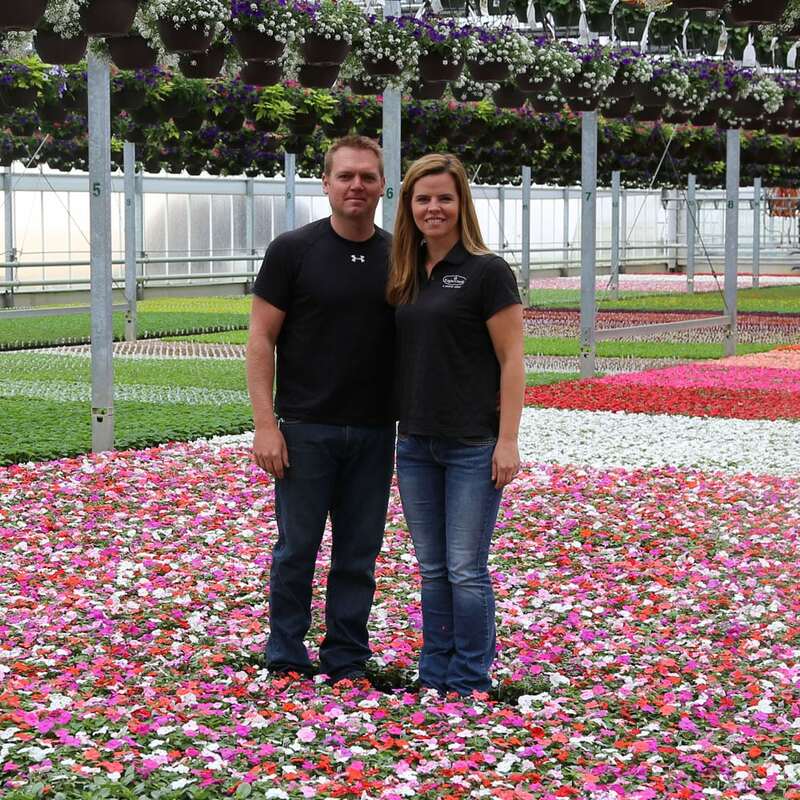 Her family’s ties to the horticulture industry are significant; Her grandfather started Burton Flower & Garden as well as BFG Supply, a leading horticultural distributor in the Midwest. Her parents founded Dillen Products, a top horticulture injection molding company in Middlefield, Ohio. Her parents also started Dillen’s greenhouse, where Jill worked after school and on the weekends and her love for the industry blossomed. Jill graduated in 1999 from Ohio University with a dual major in Business Entrepreneurship and Plant Biology. Her senior thesis was a greenhouse startup operation; and Eagle Creek Growers was born. Today at Eagle Creek Growers, Jill manages the office and works hands-on with the growing team. She has developed growing and culture guidelines and criteria for every crop grown. She is involved in the daily decisions on every crop that goes out the door at Eagle Creek. Jill is always looking into new plants and plant combinations as well as better growing methods to continually improve upon their quality and consistency. Jill has been named to Crain Cleveland Business 2009 class 40 under 40 and Eagle Creek has been recognized on numerous occasions for their company commitment to sustainability. Todd’s love for nature and the outdoors began at an early age. It wasn’t uncommon to find Todd out in woods after school, running his trap line or exploring around his family farm in Windham, Ohio. Todd’s love for the outdoors led him to Hocking College where he earned his degree in Wildlife Management. Todd started at Eagle Creek in 2002 and has been an integral part of where they are today. He manages the daily operations of the company; setting up work crews, production planning, facility management, structure maintenance, and tirelessly managing the heating system in the winter months. Todd also works daily with the company’s shipping, production, growing and sales personnel to keep Eagle Creek humming. He is always researching and investigating the next expansion project or piece of equipment to reinvest in the future of Eagle Creek. His commitment to the company, compassion for personnel and love for the industry are worn on his sleeve every day. He stays active in the industry by attending tradeshows from Ohio to Florida to Europe. He was recently named to GPN’s 40 under 40 class of 2017.